OTTAWA, Ohio — A new line of small school buses is slated to roll out in 2017. 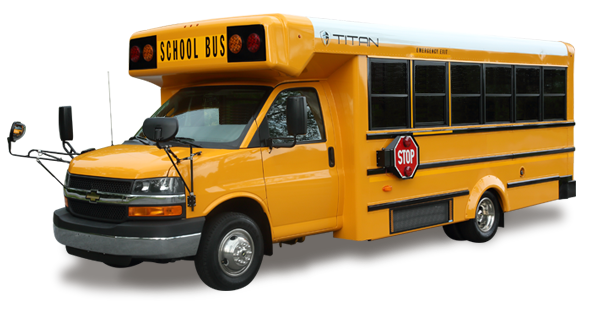 A new company called Titan Bus Co. LLC, based in Ottawa, Ohio, will soon start production of its own take on Type A school buses. Brian Barrington, senior vice president of Titan Bus, said in an interview that the startup will be a “nimble” player in the market, banking on the ability to quickly react to customers’ requests and offer them a personal touch. “Doing things people want and doing things differently — that’s something we’re going to hang our hat on,” said Barrington, a 20-plus year veteran of the school bus industry. One of the distinctions of the Titan Bus line will be a wider body and entry door for easier passenger entry and on-board maneuverability, Barrington said. A 92-inch-wide interior dual rear wheel model will allow a 14-inch aisle (with 39-inch seats) and a 30-inch-wide entrance door. A single rear wheel model will offer three/two seating configurations, providing 20-passenger capacity in a body with four window sections.